Ruby came to my Foodie Film event where she prepared a Giada De Laurentiis recipe for Bruschetta with Tomato & Mozzarella. I especially loved the bits of mozzarella mixed in with the tomatoes. 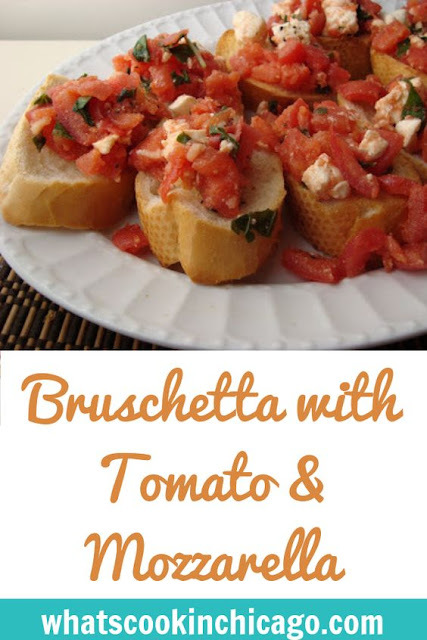 It's a great appetizer or snack to pair with Italian fare or even on its own!